“Mandalas” (formerly “KaleidoDoodle”) by Lemming Labs (the creative team of Jared Bendis and Larry Hatch) is a Kaleidoscopic Drawing program for the iPhone/iPad that allows participants to paint and design their own Kaleidoscopic Mandalas using a variety of symmetrical patterns and a wide color palette. These Kaleidoscopic Mandalas form part of a larger collected work entitled “The Mandala Project” (formerly “The Digital Kaleidoscopic Mandala Project”) that is displayed online. “The Mandalas Project” is about community, creation, transformation, and participation. People enjoy expressing themselves artistically and this project gives everyone the opportunity to not only try – but to succeed in their own creation while being part of a larger community as a whole. 10/2012 – The Ingenuity Festival, Cleveland, Ohio. 10/2011 – Blue Bash at Case Western Reserve University, Cleveland, Ohio. 09/2011 – CWRU Faculty Art Show, Cleveland, Ohio. 09/2011 – The Ingenuity Festival, Cleveland, Ohio. 06/2011 – The New Media Consortium Summer Conference at University of Wisconsin, Madison. 05/2011 – Rock Your World with STEAM (Science, Technology, Engineering, Arts, Math) Cleveland Metropolitan School District Department of Art Education, Cleveland Ohio. 02/2011-04/2011 – Ignition 4.0: Natural | Unnatural – Juried Show (by Invitation) Shot Tower Gallery, Columbus, Ohio. 09/2010 – The Ingenuity Festival, Cleveland, Ohio. If you would like to have your gallery or exhibition participate in The Mandalas Project please contact us at lemminglabs@gmail.com. 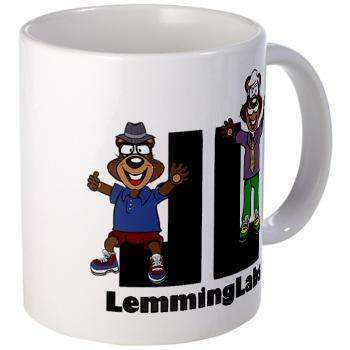 Participants in the Mandalas Project grant permission to Lemming Labs to use their images commercially in future works where they are used collectively.